Welcome to Part 3 of my Gift Guides! 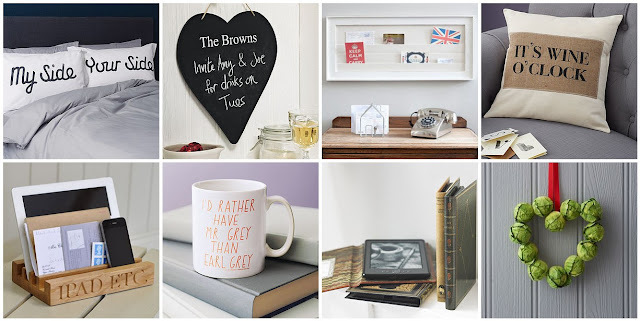 Today's is fantastic website, www.notonthehighstreet.com where you can get really unique, personalised gifts for the home! I have selected some gifts that I think you guys will like and what I love about this site is that everything is SO different! The gifts are so lovely and quirky - perfect for those hard to buy for family members or friends who seem to have everything! One month til Christmas Eve!! I love NOTHS - its a great site & its always cool to support handmade business. I need to pop over & have a browse.